하우봉,(2010).조선 전기 부산과 대마도의 관계.역사와경계,74(),153-187. Since early Chosun Dynasty the revitalization of relations with Japan yielded Busan port, after that political and economical exchange centered on Waegwan developed Busan in the late Chosun Dynasty and modern age. 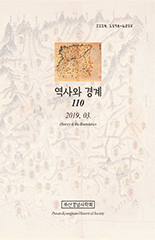 In this paper I considered the history of the relations between Busan and Tsusima in the large frame of relations with Japan in the early Chosun Dynasty and pursued the historical implication. Chosun court finished a severance of diplomatic relations with Japan immediately after national foundation and reopened diplomatic relations at the governmental level. Accordingly, Dongrae and Busan received new destiny and developed trade city of the border area. Since then, Busan became a window of diplomacy and trade with Japan as one of the Sampo(three ports). By Jeongmi Agreement of 1547, Busan became the only open port and its role and importance strengthened more. In the late Chosun Dynasty, trade and diplomatic affairs between the two countries were almost conducted in Busan Waegan. After Tonsinsa(Korean delegation to Japan in Chosun Dynasty) has been stopped in 1811, the working-level diplomatic relations at Busan Waegwan continued until 1872. So We can say the exchange composed at Busan Waegwan is a symbol of good-neighbor relation between Korea and Japan in the Chosun Dynasty.